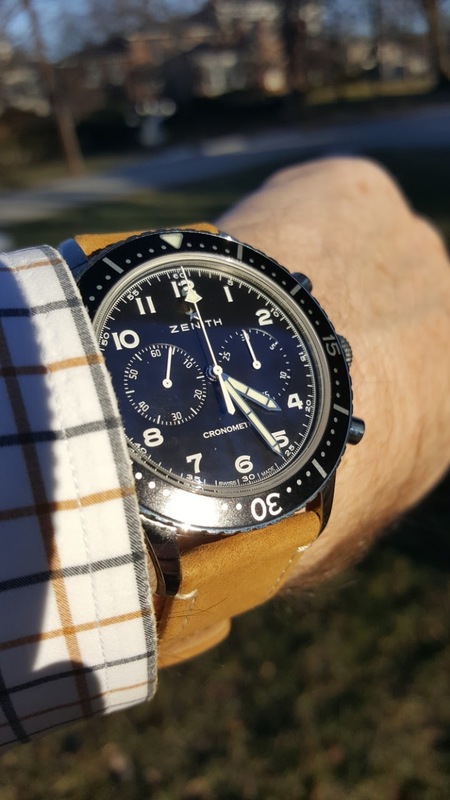 Zenith - Just because . . . But with the children around I didn’t manage a wristshot. Great piece and picture, M4! Haven't found a poor strap pairing for this watch yet.